Backed with multifarious features, Verificare sets itself apart from numerous similar technologies available in the market. It efficiently works on different platforms making it user friendly and optimum to be utilized in any setup varying from schools to survey agencies. Verificare is proficient in reading OMR sheets that are printed on any dimension of paper be it A4 size sheet or a regular sheet. Thickness of the sheet is also not a concern with this OMR software. Verificare does not require a scanner that is only meant to scan the OMR sheets. Attach any scanner like flatbed/MFP/ADF and experience a hindrance free, flow of work. If you are worried about inaccuracy of the filled OMR sheets and that it might affect the end result of the data obtained, then you should know about the Verificare feature that is proficient in detecting duplicate form and fields. It specifies the forms that have two or more bubbles marked in a single field or two forms that are identically filled. Verificare works on the strong grounds of AI enabled features which makes it cheat proof by randomly changing the pattern of questions and its options for every candidate attempting the exam. Another attribute to Verificare is the ability to re-read faulty files by comparing the recurrence of invalid data. 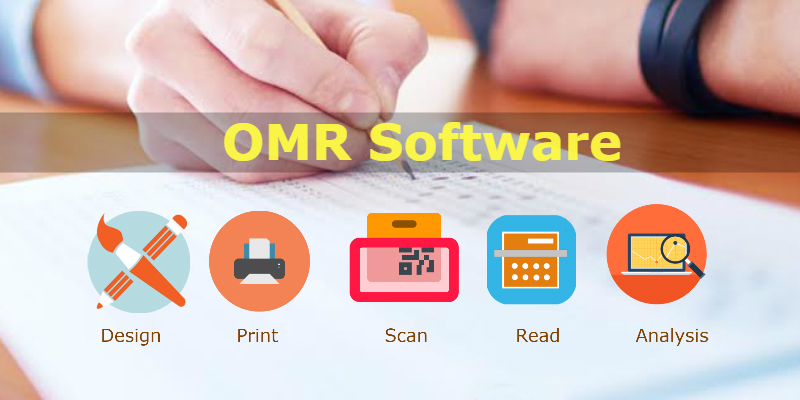 All the above mentioned features make Verificare OMR Software an ideal partner to take over the educational industry by providing timely conclusions to the test taken or to carry with your survey work and provide in time valuable information, obtained from the calculated data. Workforce involved in carrying out large scale surveys or in checking the sheets and interpreting the data can be completely avoided by the use of OMR software. This also gives relief in terms of time and money and manual exertion in carrying out the entire examination process drops down to 0%.